Hockey Canada announced Thursday the roster for the Canadian National Women’s Under-18 Team that will compete at the 2018 IIHF U18 Women’s World Championship January 6-13 in Dmitrov, Russia. Angers, 17, has started two games with the St. Mary’s Academy Female Prep team this season, going 2-0-0 with a 2.00 goals-against average and a .886 save-percentage. The 5-foot-11 goaltender was 4-7-0 with a 2.67 goals-against average and a .915 save-percentage with St. Mary’s during the 2016-17 season. Kollman, 17, has recorded two points (1-1-2) in four games with the Edge School Female Prep team this season. The 5-foot-3 forward registered 25 points (14-11-25) in 20 games with Edge School during the 2016-17 season. Angers is committed to Quinnipiac University (NCAA), while Kollman is committed to Robert Morris University (NCAA). 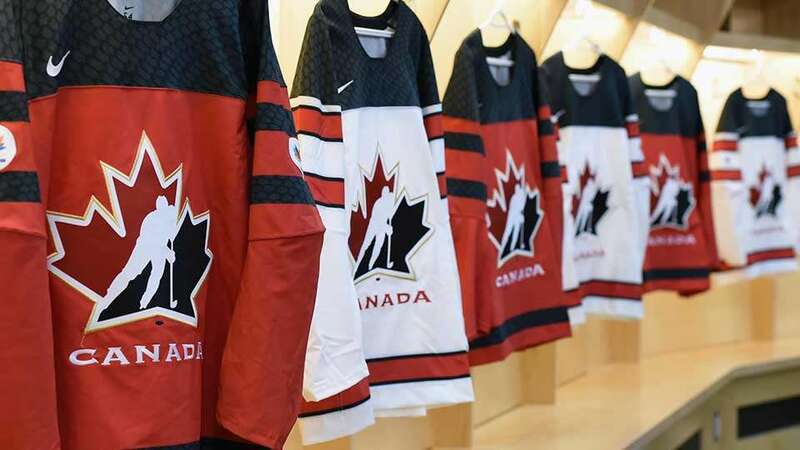 The Canadian team will be looking to secure its first gold medal at the IIHF U18 Women’s World Championship since 2014, having won gold four times (2010, 2012, 2013, and 2014), and silver six times since the event’s inception in 2008.